It all started with a dream to one day have a photography society of Motilal Nehru College and now when the dream has come true , we as a society hope that we bring honour and awards to our college. 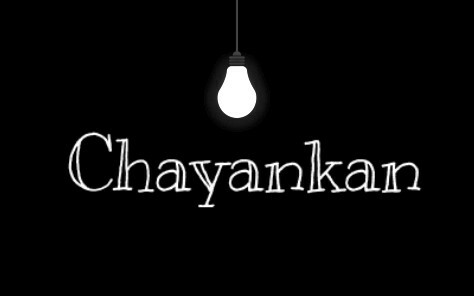 The photography society of Motilal Nehru College, 'Chayankan', initially starting with 16 members and looking forward to make it the best photography society of DU. It was started in 2012 and currently focuses on to make everyone explore and learn more of photography and let aspirant photographers seek knowledge. To us, photography is an art of observation. It's about finding something interesting in an ordinary place... We've found it has little to do with the things one sees and everything to do with the way you see them. We try to capture every little detail of our lives which we generally tend to overlook. It tries to be more as a guide to students who find photography as their passion. "It takes a lot of imagination to be a good photographer. You need less imagination to be a painter because you can invent things. But in photography everything is so ordinary; it takes a lot of looking before you learn to see the extraordinary." -David Bailey. Our photographers go on weekly photo walks in an attempt to convey the essence of Delhi through our photographs.We regularly keep meetings to enhance our skills and to better our understanding of this incredible art form. All the Chayankan photographers has now become a much grand platform inculcating Mobilegraphers, Semi-DSLR users and of course DSLR users and people with skills in post-processing. The initiative was taken on August'12 with a group of 16 people, mostly being non-DSLR users but with the passion and their dedication towards the society that the platform was made ready. A lot has been achieved and a bigger lot is yet to be achieved, come and take on this journey with us and explore the photographer within you meanwhile.